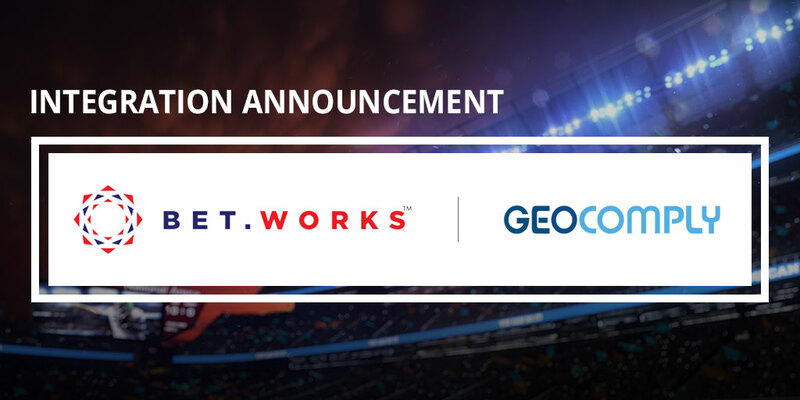 January 31, 2019 (Vancouver, Canada and Las Vegas, USA) – GeoComply and Bet.Works today announce their agreement to integrate GeoComply’s award-winning geolocation compliance solution into the Bet.Works online sports betting and iGaming platform. This partnership will enable Bet.Works to launch their online platform in New Jersey and other states with the assurance that they are fully compliant with both state and federal geolocation regulations. “Geolocation compliance is a cornerstone of our online sports betting and iGaming platform and by partnering with GeoComply, we’re utilizing the industry’s most trusted solution to meet stringent state and federal regulations,” says Quinton Singleton, Chief Operating Officer of Bet.Works. built a very high level of technical expertise,” says Anna Sainsbury, Chairman of GeoComply. Bet.Works is a U.S.-based technology and services company delivering the most advanced iGaming and sportsbook technologies and services in the market. Its flexible suite of proprietary solutions, coupled with a sophisticated managed service offering, uniquely position Bet.Works to provide U.S.-ready solutions to enterprise, tribal and regional clients. For more information, please visit www.bet.works.